Patch pockets at front, belt is included. 100% cotton handwoven with an ikat pattern by Fai Sor Kam textile studio in Chiang Mai, Thailand. There is only one of this item. For custom orders email lauren@thekindcraft.com. The process of turning green indigo leaves into blue dye is magical. 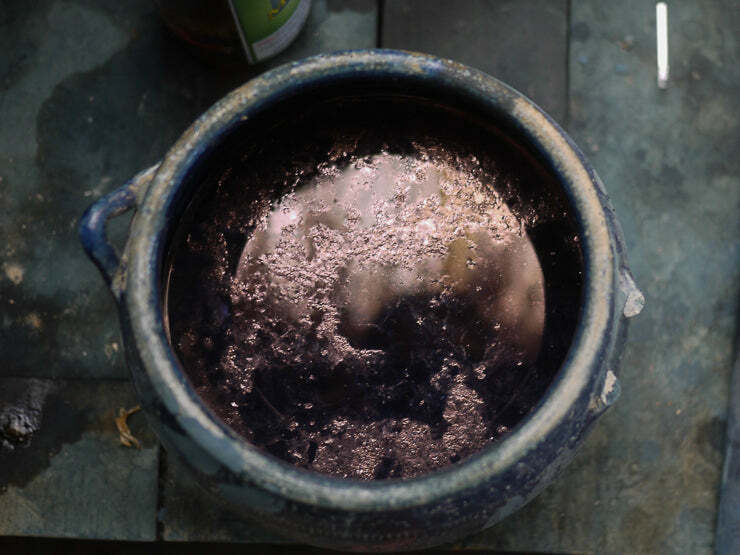 While most botanical materials, like wood, are boiled down to create natural dyes, blue indigo dye is created by fermentation. In Northern Thailand, Indiofera Tinctoria leaves are gathered, soaked, and beaten to oxidize the mixture. 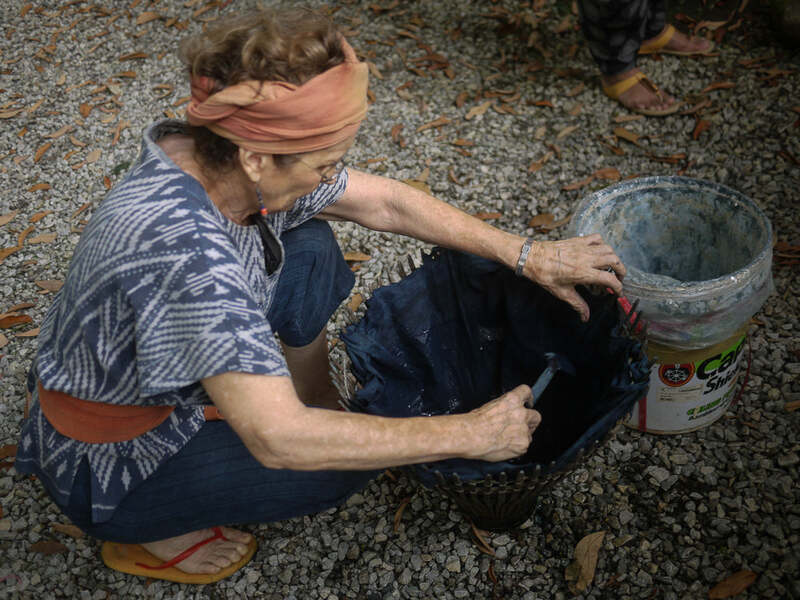 The indigo paste settles and is collected to use as dye. 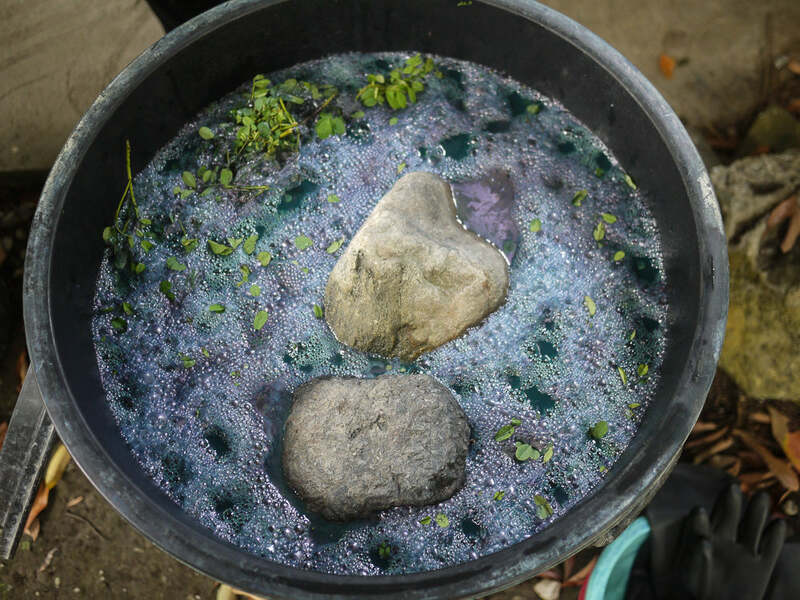 A live indigo vat must be cared for continually. Cotton yarns are dipped into the vat and with each dip the indigo platelets layer onto the fibers creating a darker, richer blue. The Kindcraft worked in collaboration with Studio Naenna in Chiang Mai, Thailand to create two small womenswear collections. Designed to honor Studio Naenna's process of making natural indigo dye, the shapes in our Indigo Collection are minimal with contemporary styling. They are slow-made in an ethical working environment.